A revolutionary new way to relax in the outdoors through a light-weight inflatable recliner has been taking off on Indiegogo raising nearly $3 million from 18,000 backers. 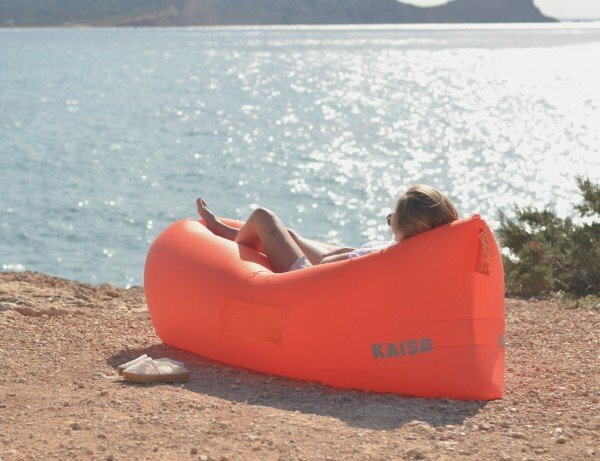 The invention known as the KAISR Original folds into something about the size of a sleeping pad. Just unfold the fabric, wave the opening in the air and seal it shut. It’s as easy as that. And it even comes with a bottle opener. What a bonus! This lightweight fabric uses dry bag technology to create a relaxing lounge before. Creators say they were tired of either dragging along a heavy chair, inflating an air mattress or just sitting on a towel.